Game Night with Friends / Love, Faith.....and Coffee! I've been friends with Jules for years...14 years to be exact. We met on the big bad internet but since we live practically right down the road we met in person and she has been stuck with me ever since! Jules and I have been trying to plan a game night for years. Really YEARS! A random stop at the local game store resulted in finally planning a game night that night. The kids (her 2 and my 1) had full run of my house while we played games all night. I think I will be finding nerf darts and elastic bands ( I have no idea how this happened) for months. We set up in the dining room and proceeded to play for hours. First we played Pandemic Legacy: Season 1. Since my husband and I played January, we started the night playing February and we managed to win! Pandemic Legacy: Season 1 is a co-op game that changes each time you play depending on how well you and the other plays do. You actually change the game board by adding stickers, rules, and upgrades each time you play. Sometimes it helps you and other times it hurts. 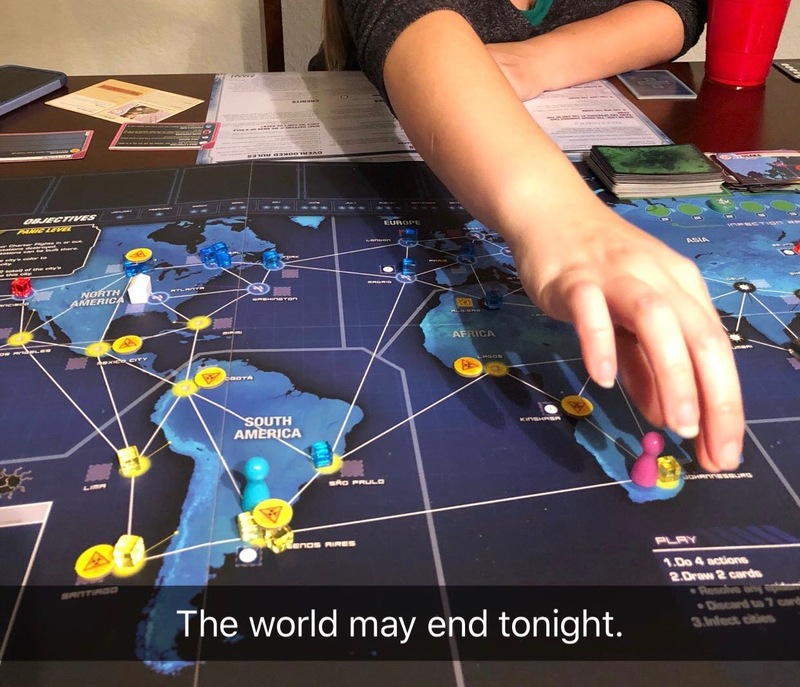 We love playing the original Pandemic and this just adds a whole new dynamic. I'm looking forward to the next time we get together and play Pandemic Legacy: Season 1! 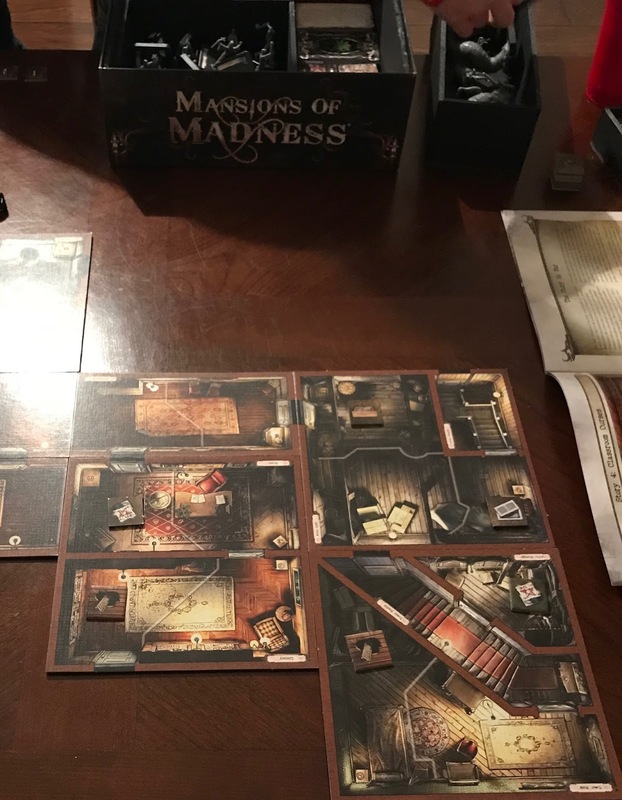 The second game of the night was Mansions of Madness. The setup of Mansions of Madness took a very long time but the artwork is great and the game play was so much fun! I love how the game changes each time you play it as well depending on how the keeper sets up the board. It was a bit slow for us at first but I think it's a game that you have to play a few times to get the setup and rules down pat. I definitely want to play this again. Have you liked my fb page?